The Healthiest Employers Awards event is a national organization that celebrates organizations and companies that proactively improve the health of their population and are committed to creating a healthy work environment. This national program comes to Upstate New York on October 13 with an awards breakfast at the Crowne Plaza. 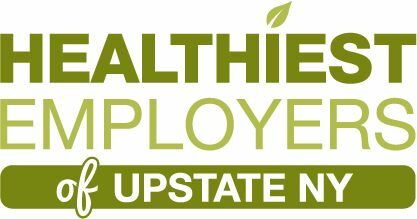 The Healthiest Employers of Upstate NY Awards event recognizes local organizations and businesses committed to creating a healthy work place, thereby improving the health of our community. Syracuse Media Group has partnered with Healthiest Employers LLC to bring this event to Upstate NY. 11-11:15 Workplaces That’re Fun Award & ways to make your workplace more FUN!